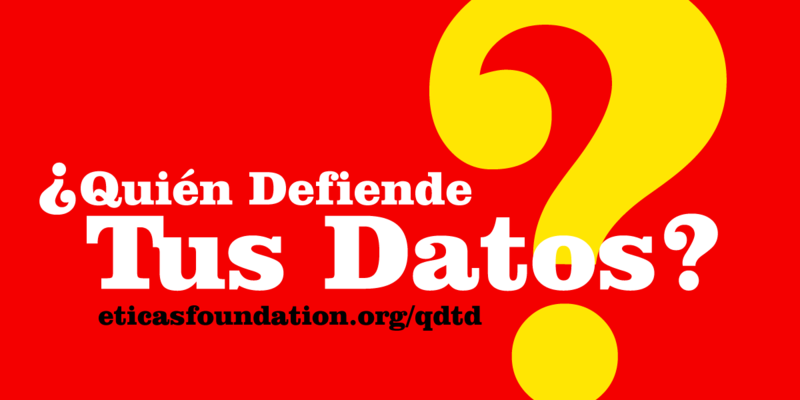 Spain's ¿Quien Defiende Tus Datos? (Who Defends Your Data?) is a project of ETICAS Foundation, and is part of a region-wide initiative by leading Iberoamerican digital rights groups to shine a light on Internet privacy practices in Iberoamerica. The report is based on EFF's annual Who Has Your Back? report, but adapted to local laws and realities (A few months ago Brazil’s Internet Lab, Colombia’s Karisma Foundation, Paraguay's TEDIC, and Chile’s Derechos Digitales published their own 2017 reports, and Argentinean digital rights group ADC will be releasing a similar study this year). According to law: whether they publish their law enforcement guidelines and whether they hand over data according to the law. Notification: whether they provide prior notification to customers of government data demands. Transparency: whether they publish transparency reports. Promote users’ privacy in courts or congress: whether they have publicly stood to promote privacy. Companies in Spain are off to a good start but still have a ways to go to fully protect their customers’ personal data and be transparent about who has access to it. This years' report shows Telefónica-Movistar taking the lead, followed closely by Orange, but both still have plenty of room for improvement, especially on Transparency Reports and Notification. For 2018, competitors could catch up with efforts to provide better user notification of surveillance, publish transparency reports, law enforcement guidelines, or publicly make clear data protection policies. ETICAS is expected to release this report annually to incentivize companies to improve transparency and protect user data. This way, all Spaniards will have access to information about how their personal data is used and how it is controlled by ISPs so they can make smarter consumer decisions. We hope the report will shine with more stars next year.